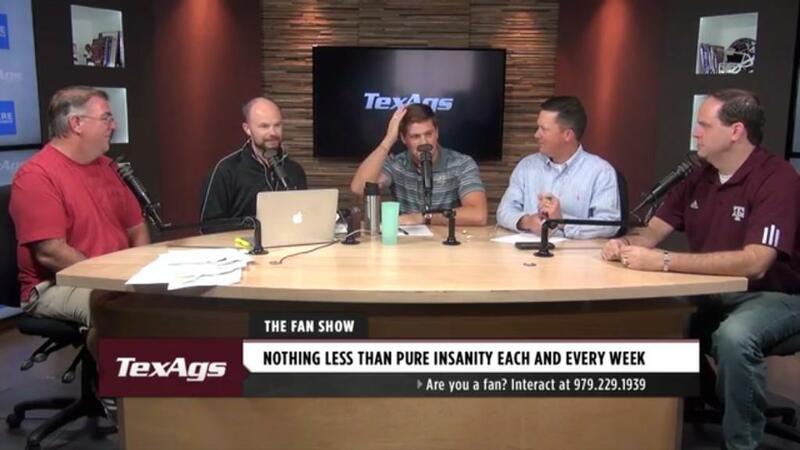 I made a brief appearance on “The Fan Show” at TexAgs.com on October 23, 2014. The Aggies had just gotten blown out 59-0 by Alabama, so the mood of the show isn’t up-beat. Either way, it was a great time and I appreciate the opportunity to be on the show. You can listen and/or watch the show here, at TexAgs.com. This entry was posted in Texas A&M, TN, Video by Travis Normand. Bookmark the permalink.